Canon’s Rebel series is one of the best known across the world. 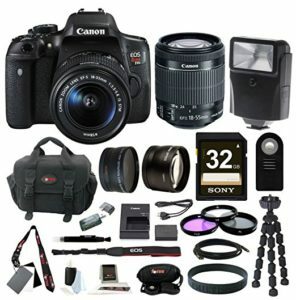 Several of the models are considered by many to be the best among entry-level options for DSLR cameras. There are numerous model numbers in the Rebel series, and it can be tricky to keep them straight. 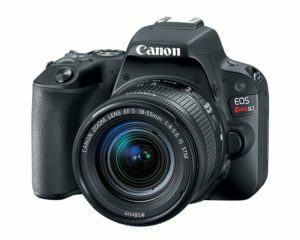 This guide will take a look at all of the current entry-level models of the Canon Rebel line. The Rebel SL2 just came out, and it’s earning raves all around. It replaces the ultra-small, ultra-lightweight SL1 (one of the best rated entry-level DSLRs). It keeps the spirit of the SL1 in its compact and light design (though it is a bit larger), but adds a ton of features that make it feel much more relevant. The improvements from the SL1 to the SL2 are really notable. The sensor is much improved, and the addition of the touchscreen and movable screen help it be both functional and highly usable for new shutterbugs. Most users coming to the SL2 are likely not upgrading from the SL1, so the improvements in the new model really don’t mean much. So we’ll say this: if you’re looking for a user-friendly, lightweight, and affordable DSLR, look no further than the SL2. 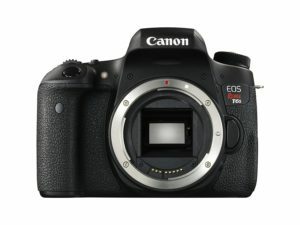 This model is the lowest price point of the current Rebel models (not to be confused with the T6i – More on that next up! 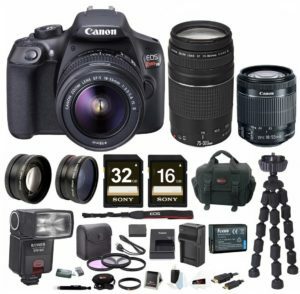 ), the T6 is a super affordable entry into DSLR cameras. The Rebel T6 will likely appeal to newcomers, especially those who simply cannot stomach the thought of spending so much on a camera. In that regard, this is a nice introduction to DSLR shooting and the price tag does give you room to add on gear or lenses. If you are serious about shooting DSLR, though, we recommend spending a bit more for the SL2 (above) – you get more bang for your buck and lots of additions that will make a big difference in your photography. Having said that, if the T6 meets your budget needs, it will make a great camera to learn on. 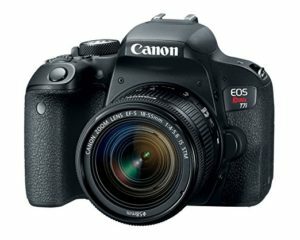 Canon considers the T6i to be entry-level (they list it as “beginner”), but this baby is so great we think it deserves to be an honorary mid-level (“intermediate”) DSLR. Price wise, you are looking at a few hundred bucks more than the T6, but it’s just a bit more than the SL2. Looking at the specs, you’ll see a pretty huge difference between the T6i and even the SL2. Many reviewers have called the T6i the “best Rebel yet,” and it’s pretty easy to see why. The primary difference for many shoppers is going to be price. Because this camera is approaching the high end of entry-level DSLRs, the price might be the tipping point. Of course, we love the SL2, so you can’t go wrong there. However, if you have a bit of extra cash, it might be worth grabbing the T6i. Canon considers the T6s an “intermediate” DSLR. It’s nearly identical to the T6i with just a few other features added to it. The price is very similar to the T6i, as well. So what’s the difference between the T6i and the T6s? The T6s is slightly more money through most vendors for one. In terms of features, the T6s has a top mounted LCD and a more customizable control dial. The T6s control pad has exposure compensation, a feature important to pros but not so much for beginners. And finally, the T6s can shoot video in HDR video. These small differences might not alleviate the price difference for novice photographers. They will come in handy for intermediates and pros, though, and the additional price isn’t too terribly much more. The final Rebel model that is considered entry level is the Rebel T7i. While this is still under $1000, it has a high price point for a beginner DSLR. However, investing in this model gives you a ton of great specs and should minimize the desire to upgrade for quite some time. Obviously, you’re getting quite a bit when you jump from any of the lower priced models to the T7i – most notably, the additional points of AF. The T7i also includes the connectivity features that are becoming standard in Canon DSLRs. The T7i is responsive and the autofocus is the cross-type that Canon includes on the 80D. The clarity even at higher ISOs is great. And the design of both the body and controls is intuitive, comfortable, and easy to use for longer periods of time. This model is worth every penny if you can work it into your budget.